The most loveable droid in all of the galaxy has been immortalised as a paper lampshade to add the finishing touch to your child's room. 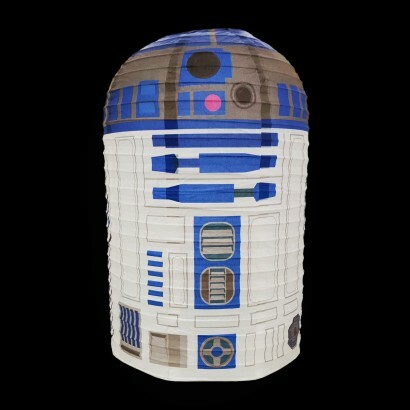 A must for Star Wars fans, this sweet R2-D2 paper lampshade is made in a concertina style so that he pulls out and is held in place with an internal frame. 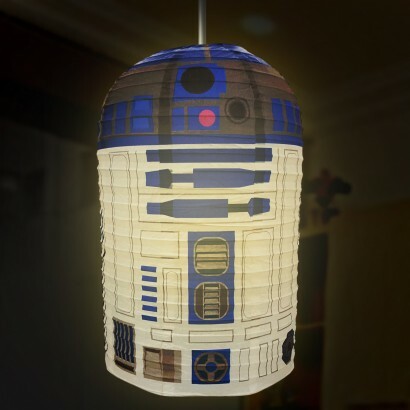 An inexpensive lighting solution for kids rooms, this cosmic shade compliments any starry or Star Wars themed room adding all the cheeky charm of R2-D2 himself!